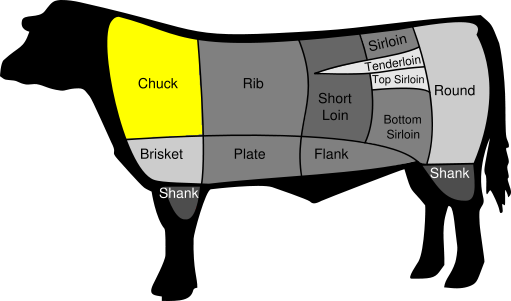 The Teres Major is a seldom-used muscle located in the chuck shoulder of the animal that is said to be bested in tenderness only by the tenderloin or Filet Mignon. It’s also known as the “shoulder tender,” “petite tender” or “bistro filet” in some circles, but it’s rare because it’s a challenge to extract as far as butchery is concerned. 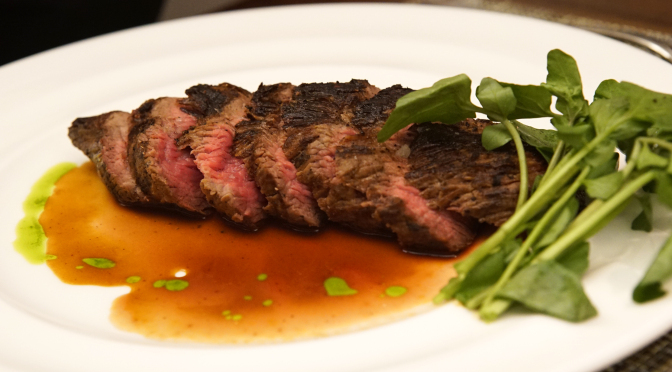 Luckily, these are starting to become more popular, so you can sometimes find them at steakhouses that are offering some lesser known and more budget friendly cuts. This shows that is even has some anatomical similarities to the filet, like a silver skin membrane. 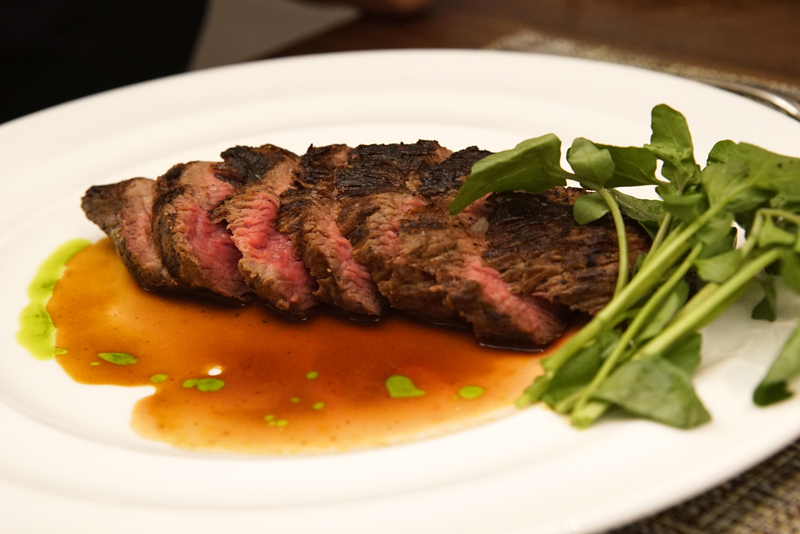 It’s similar in size and shape to a pork tenderloin and eats similar in texture to beef tenderloin, but with the bold flavor of a hanger steak. They vary from 8-12oz. Here’s a shot of the cut from Charlie Palmer Steak in midtown. You can also find one at Pig Bleecker, called The 155 Steak.